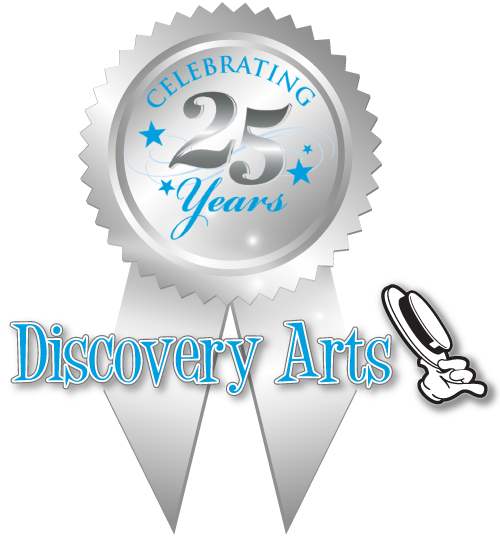 We wish to thank our Friends and Partners who make it possible for Discovery Arts to bring "Arts Adventures"
to children with cancer and life threatening illness while they are in the hospital receiving treatment. Please consider becoming a Partner with us! Guest artists, helping in the hospitals, working a booth at events. Volunteers are also needed in our office in Orange for administrative work and to stuff envelopes, design flyers, help with fund-raising, etc. Volunteering for Discovery Arts can create lifetime friendships and rewards of immeasurable value. * Volunteer's who participate at the hospital programs Must be 18 years of age or older to work with Discovery Arts in the Hospital. The volunteer assists the Discovery Arts staff in the implementation of the "Arts Adventures" presented to the hospitalized child. The primary function of the Discovery Arts program is to offer the arts to the children in such a way, as they are able to choose their own adventure and their degree of participation. We are there to support the health care team in offering a caring and supportive environment and to ease the stresses of hospitalization. At the same time, children discover their own creativity and imagination. We believe these tools to be important in the healing process. 2) Assist with art projects, face painting, picking out costumes, tap dancing, etc. 3) Interact with patients by bringing bedside adventure kits to the rooms of children that cannot come to the playroom. Stay with them and work on a project. 4) Help organize supplies in the hospital and make a list of items that are needed. 5) Take Instant photos of the patients in their costumes and make frames for them to keep. Developing ideas for Arts Adventures to bring to the hospitals. Help secure donations for our program. Donate needed craft supplies, costumes, musical instruments, and Fugi Instant film. Get a group together and make Bedside Adventure Kits. Become a guest artist! Or maybe you know someone with a musical or artistic talent that would like to volunteer at the hospital, (must be 18 years old). Visit our Celebrity Ambassador page for complete details about becoming a Discovery Arts Celebrity Ambassador.